Samsung Galaxy Note 2 received the Android 4.1.2 update a long time ago, but this is of course the International version I am talking about. 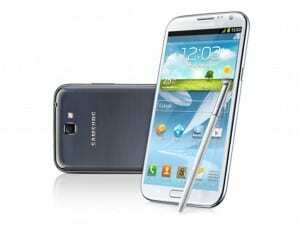 As you know, carrier versions get update a lot later and so was the case of T-Mobile Galaxy Note 2. But the wait has come to an end as T-Mobile released the Android 4.1.2 update recently for its customers. This late Jelly Bean update brings up a few interesting improvements and additions to the UI. For example the notification toggles has been modified, Multi View now has a disable option, Project Butter works as a charm and so does the web browser, plus Galaxy Note 2 now has Ink Effect and Group Cast App. The PDA version of the update is T889UVBMB4. The update should prompt on your screen as OTA, but you can also install it with Samsung Kies. However, more experienced users may want to install the update manually, using Odin. This is not really recommended but sometimes you need to. We can provide you the update files for your SGH-T889 and with the necessary steps you need to follow to complete the update. After you download the update files, you can follow the steps in our specialized tutorial – How to manually install Android 4.1.2 UVBMB4 on SGH-T889 Galaxy Note 2. Tell us how does your Galaxy Note 2 feel after installing Android 4.1.2 on it?